If you are experiencing problems verifying your account via sms, please contact our support team on live chat or email and we will help you. Please state the following when contacting us: Name, Email address, Address, Date of birth, Mobile number, and Date when the account was created. If you provide these details, we will be able to help you faster. 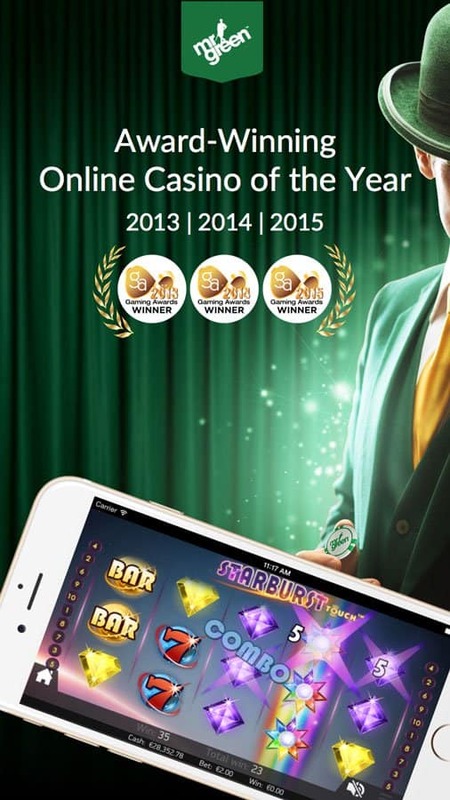 Voted ‘2016 Casino App of the year’, Mr Green’s Casino & Sportsbook App is a must-download if you enjoy a little flutter on-the-go. Get the App for your iPhone or Android and forget about all those long-winded rides home from work and dull moments at home. Are you ready to immerse yourself in a universe of never-ending entertainment? Very stylish and professional looking app. Thumbs up!! 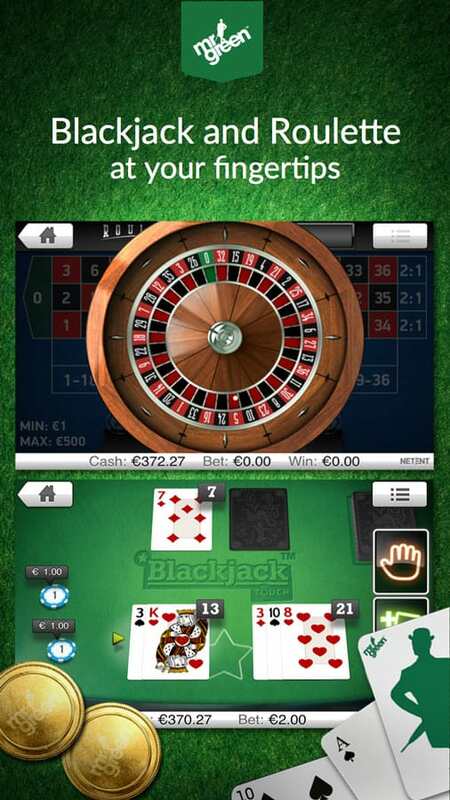 Super awesome app, I can play whenever and wherever I want. Awesome Graphics! Fantastic! Or should I say marvelous? I have been waiting for this app a long time. Finally I can play my favourite games in their right environment. Thank you, Mr Green! Hey Mr Green! The new app is absoulutely fantastic, I’m so happy you have the app now. I downloaded the app, nice design, nice games. Thanks a lot! It’s faster and better design. Can’t get better. You’re the best online casino ever.